Made from high quality materials, this Hozelock Telescopic Lance Spray Plus 140 offers next level long reach watering thanks to its new and innovative features. No plant is out of reach when using the Hozelock range of watering lances and will ensure every area of the garden is watered to perfection. 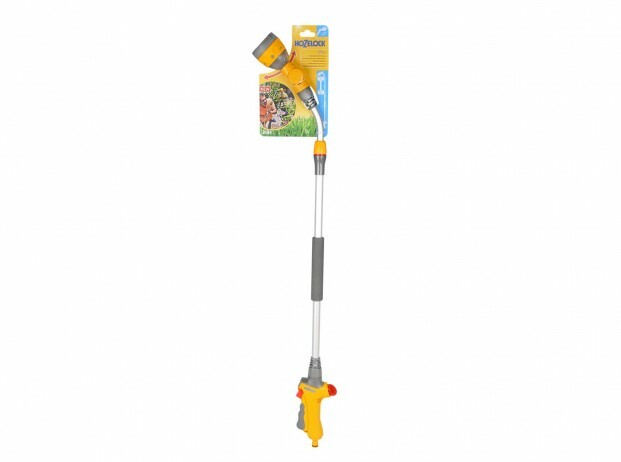 The Telescopic Lance Spray Plus 140 provides extra reach and is light weight, yet robust and is packed with useful features. Hozelock Telescopic Lance Spray Plus 140 from Hozelock. 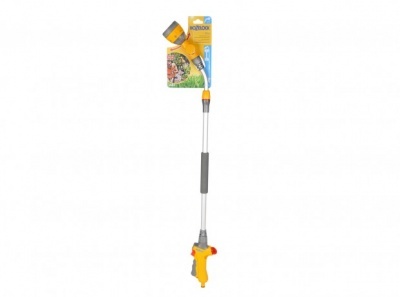 It is 50% lighter than its predecessor, and has a telescopic long reach handle that is 90cm in length which then can extend up to 140cm as and when needed. 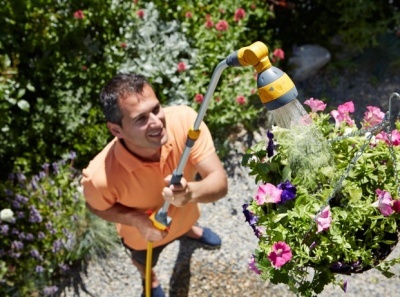 An 180° adjustable spray head for even more convenient watering at different heights. The Telescopic Lance Spray Plus 140 also has a lockable variable flow trigger (1) and separate flow control (3) for ultimate control during watering, saving you up to 50% of water waste. Aerated that produces a full flowing stream of water this is soft and gentle enough to not disrupt the compost in flower beds.